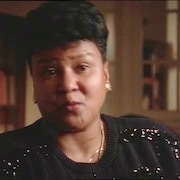 The Africans in America Interviews Collection is made up of 53 raw interviews from the award-winning, four-part documentary of the same name, which aired on PBS in 1998. 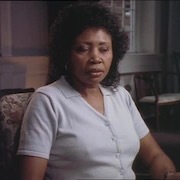 The documentary, the first to fully examine the history of slavery in the United States, focused on the experiences of African people and their transformation of America, beginning with 16th-century enslavement on Africa's Gold Coast and ending on the eve of the American Civil War in 1861. The interviews offer an in-depth examination of the social, economic, and intellectual foundations of slavery and the ways in which African people changed the United States. 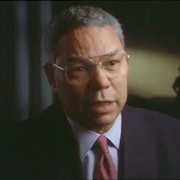 Guests include descendants of slaves and slave-owners, authors, professors, historians, and statesmen, including Colin Powell, retired four-star general and the first African American on the Joint Chiefs of Staff; Karen Hughes White, a descendant of Thomas Jefferson and founder of the Afro-American Historical Association of Fauquier County; Catherine Acholonu, a Nigerian author and Associate Professor of English Literature, Awuku College of Education; and Jeffrey Leath, Pastor of Mother Bethel A.M.E. Church, Philadelphia. Topics covered include Christianity and English Protestantism, George Washington, Toussaint Louverture, the American Revolution, Nat Turner's Rebellion, gender conventions, racism, violence, economics, family, and enslavement. 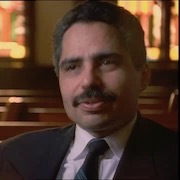 The Africans in America interviews were conducted in 1998 for the four-part documentary of the same name. 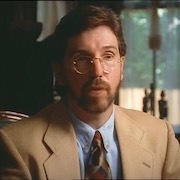 Winner of a Peabody Award in 1998 and the News & Documentary Emmy Award for Outstanding Research in 1999, Orlando Bagwell served as the documentary's Executive Producer. In 2017, the WGBH Media Library and Archives digitized the Africans in America interviews and in 2018 submitted them to the American Archive of Public Broadcasting. Seven of the recordings in the collection are multi-part conversations with a single interviewee.